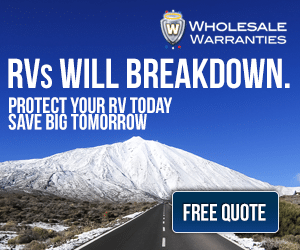 Every year I drain our Suburban 6 gallon RV water heater for cleaning and maintenance. 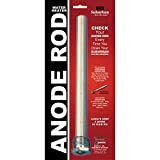 During this maintenance, I check the anode rod for deterioration, replacing if necessary and thoroughly flush out the inside of the tank with a rinsing wand. See more detailed information, photos and video in this previous post. Because we spend the winter months camping in the US southwest, our water heater tank gets pretty gunked up. I routinely see loads of calcium scale and mineral deposits in the flushed out water and on the anode rod. Unlike our soft rainwater fed reservoirs in the Pacific Northwest the desert’s water usually comes from ground wells and contains all sorts of salts and minerals in relatively high concentrations. 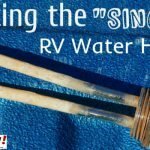 One time our water heater’s electrical element was so coated with scale, it began to sing! 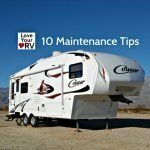 Over the years I’ve heard about using vinegar in the RV plumbing to dissolve the calcium scale deposits, especially in the water heater tank. This year I’ve decided to give it a try. 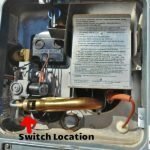 Safety Note: Prior to working on the water heater make sure it’s sufficiently cooled and the power and LP gas supply are off. 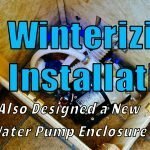 Since I had recently installed myself an RV winterizing kit that’s the way I chose to add it. I didn’t find a clear consensus on how much vinegar to use so decided to go with three parts vinegar to four parts water. I figured that should be enough to do the trick. 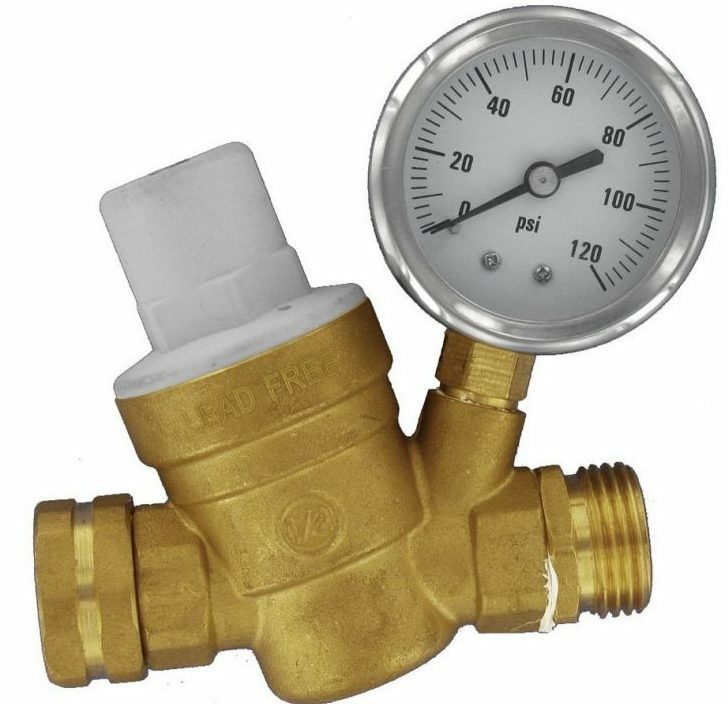 Once I had performed my usual water heater maintenance I buttoned it up leaving the tank empty. 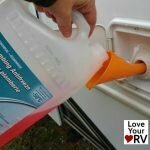 I filled a 7-gallon portable fresh water jug we carry for boondocking with the vinegar/water mix. 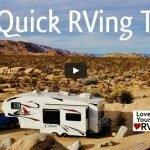 Then, sucked the mixture into the RV water heater tank using the RV’s 12-volt water pump. Next, I powered up the water heater electrical element until the vinegar mixture was nice and warm then let things sit for 4 or 5 hours. Finally, I pulled out the anode rod again and let the tank drain. Results: I got a bunch more scale out of the hot water tank and was pleased to see the vinegar had taken most of the deposits off the anode rod. Meaning it must have done the same to the inside of the tank and the electrical element. 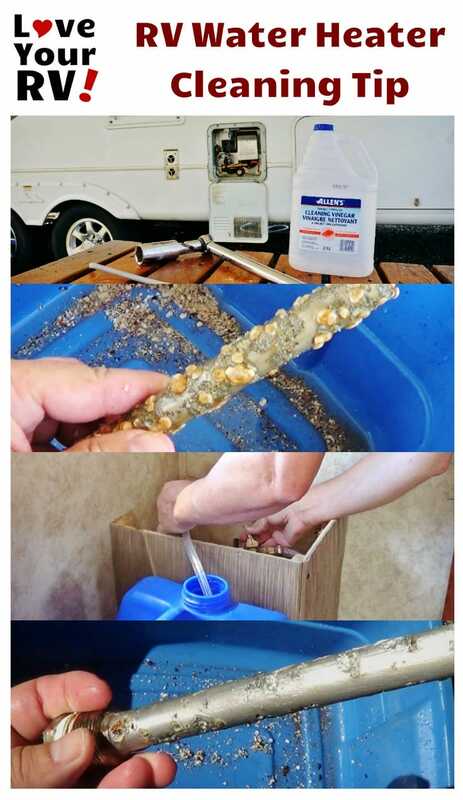 I think using the vinegar solution was a success and helped me give the RV water heater tank an excellent cleaning. 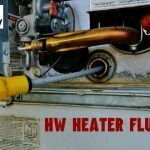 I’m going to add it to my water heater maintenance routine from now on.